The harsh winter we've been experiencing is definitely calling out for some happy colours to put a smile on your face. Loopy, bumpy textures and mouthwatering shades of melon and berries make this project a treat to knit. 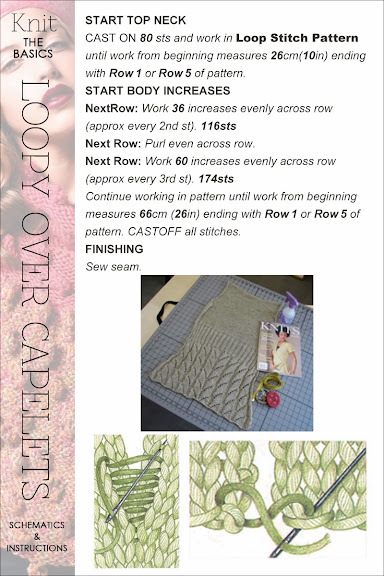 Worked from the top down, a soft rolled neck is increased to a slouchy, comfy capelet. 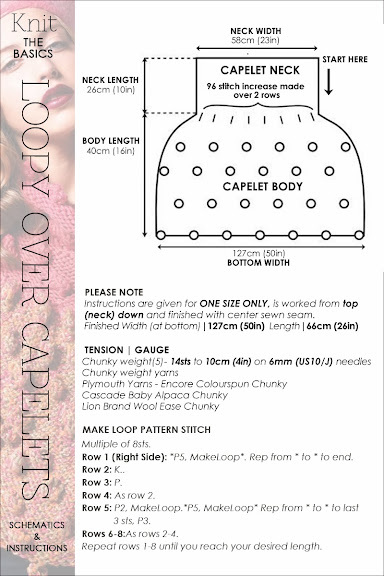 After trying this quirky little pattern stitch, I was amazed at how quickly it worked up and how much fun it was to knit. Perfect to throw on and stay toasty on a chilly evening if you like to keep the thermostat lower. 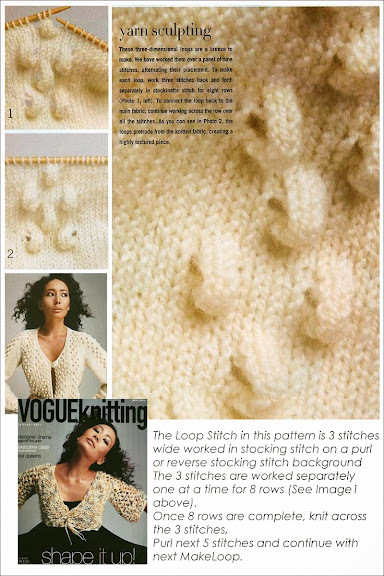 Read further for the pattern and tutorial on how to knit the Loop Stitch.